Annona Day Spa is proud to introduce the THREE NEW signature massages normal price for 90min R850 NOW ONLY R650!!! THERANAKA means “Beauty of Africa”. 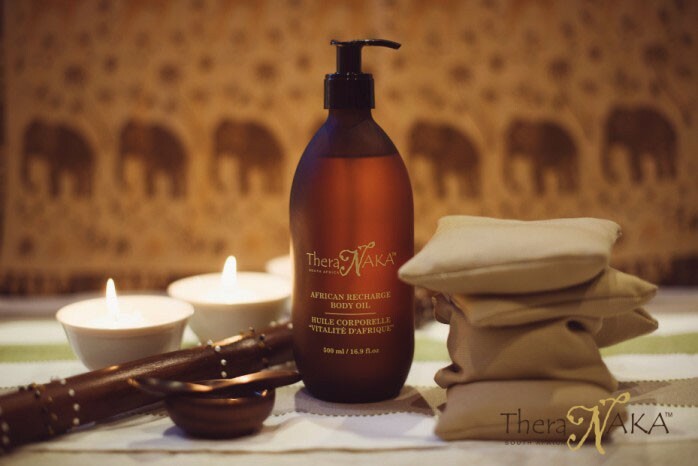 The massages is a mesmerising and innovative body and sense soothing safari, replicating the earthly scents and the awe-inspiring wonder of this most profound continent. Our unique massages and rituals were inspired by, designed and based on Africa’s rich heritage and created to celebrate mother earth and the connection with life. Whether you need a recharge or feel like you need to relax in the everyday storms of life, THERANAKA’S SIGNATURE MASSAGES will uplift your mind, body and soul to see the pot of gold hanging in the Marula tree at the end of an African Rainbow!! Let the therapists here at Annona mesmerise you by making use of heavenly aromas and herbal purity. You can simply choose one of these signature massages that you prefer and we will do the pampering for you!! Mimicking the rhythmical patterns of an African dance, blending light stretching tech-niques and specially designed body and facial wooden implements to relax and restore your weary body. A warm soft textured Olive and Shea Butter ointment that provides a smooth glide during an African wood massage, will nourish and heel dry skin whilst re-laxes and soothes away muscle tension. An ultra relaxing indulgent full body message is created, inspired from the Marula also known as “elephant tree” and African traditional healing beliefs. This skilful massage will awaken your senses and revive your body and mind. The Marula oil’s have healing and moisturising properties and is extracted from the kernel of the Marula fruit. Mimicking the hand extraction movement on the body made during extracting the oil process, give this massage a unique touch with the elephant walk, knuckling (crushing nut), kneading and friction (pressing for oil), wringing (grinding the bark) massage movements. This unique massage ritual was created to encompass our connection with nature and celebrating the circle of life. Small blocks of aroma infused Shea butter are placed on different are-as of your body which will aid circulation, relax and clear areas of congestion. With movement like curled snake, circle of life, spiral movement and palm kneading you will experience the soothing warmth as the butter melts under your therapist’s hands, leaving you utterly relaxed and your skin nourished and hydrated.